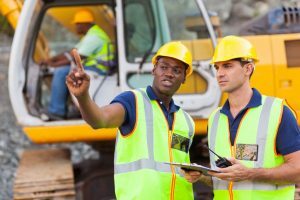 NEW YORK – Construction zones are dangerous places. There’s plenty of moving parts, heavy machinery, and the work is physically demanding. That doesn’t mean we should be sacrificing safety for productivity! Unfortunately, many contractors put their bottom lines ahead of their workers. These decisions often result in some of the most common construction accident injuries in Queens. The real bottom line is, a lot can go wrong in a construction zone. But with the proper safety equipment and training, all of these accidents can be prevented. Whether you work in road construction, commercial development, excavation, real estate development, or some other type of work, your safety should be a top priority. Sadly, that’s not always the case. As a result, the accidents listed above can result in serious injuries that can affect you for the rest of your life. Head Injuries – the most common construction accident injuries are head injuries. The impact of these can be minimized by wearing a helmet along with other safety equipment, such as harnesses. Training can also help workers avoid head injuries. Illnesses – a surprising number of workers and retired workers suddenly become ill every year. Many of these illnesses, such as mesothelioma, can be traced back to materials and chemicals that person was in contact with while working all day. Mesothelioma, for example, is only caused by asbestos fibers that were commonly used in construction jobs until the 1970’s. Spinal Cord Injuries – your spinal column consists of 33 bones, which protect your spinal cord. If any of these bones break or shift out of place due to an accident, the pain can often be unbearable. Unfortunately, the spinal cord is fragile, and it can easily be injured in a Queens construction accident. Broken Bones – we all know broken bones are painful. In the construction industry, these injuries can also sideline workers for months. This leaves many with reduced paychecks, or little income at all to pay for medical bills in addition to their regular monthly costs of living. That doesn’t sound fair to us! Our team will stand with hard-working New Yorkers to make sure they’re getting the best results possible from an injury claim. Electrocution – electricity is a necessity in today’s society. It’s also very dangerous if you don’t know what you’re doing. That’s why it’s important for all electrocution hazards to be properly labeled. In addition, workers who spend their day around electrical wires or transformers need to have adequate training and the right safety equipment to do their jobs safely and efficiently. Knee & Ankle Injuries – if you’re like the construction workers we’ve represented, you work hard for a living. That often demands that you’re on your feet for most of the day. Unfortunately, that work can take a toll on your knees and ankles. Moving objects and machinery can also create tripping hazards and other injuries that can negatively impact your career. Burns – although rare in construction zones, workers are constantly doing their jobs around hot objects. From something small like a hot cup of coffee, to more serious burns resulting from heavy machinery malfunctions, these injuries can be serious. Eye & Ear Injuries – there’s a lot going on at a construction site. That makes them very noisy places. At any given moment an object could come out of nowhere and hit your eye, or a loud noise could cause ear damage. If you suddenly begin to hear constant ‘ringing’ (tinnitus) or have suffered hearing loss, it may be related to your work! The odds are stacked against construction workers. The Occupational Safety and Health Administration notes nearly 100,000 safety violations in workplaces every year; and many other violations are believed to be overlooked. In addition, there are only about 2,100 inspectors responsible for the safety of almost 150 million workers. According to OSHA, that translates to just one compliance officer for every 60,000 workers. Accidents happen. It’s important to remember that your employer is responsible for your safety at all times while you’re punched-in. If you’re injured because of your employer’s or another employee’s negligence, you could be entitled to compensation. At Cellino & Barnes, our Queens construction accident lawyers have stood side-by-side with hardworking New Yorkers and their families to make sure they get the best results possible from a personal injury claim. Call us today for a FREE case evaluation or contact us online to see if you have a case.